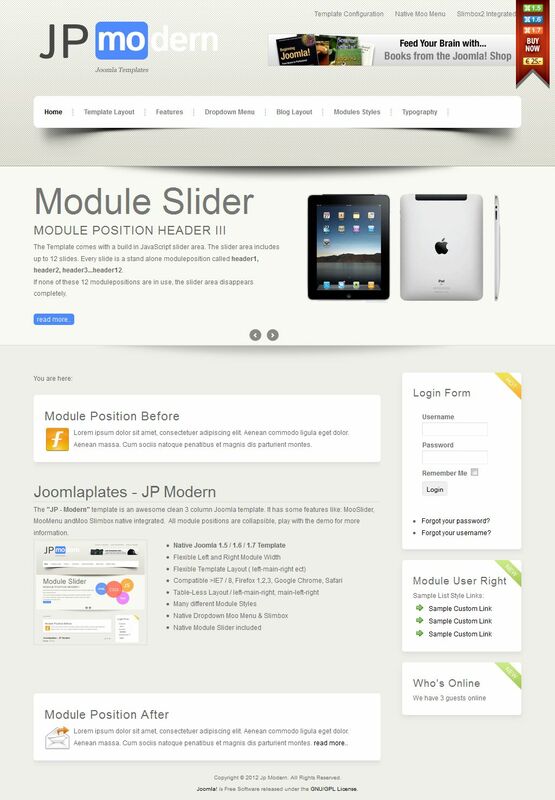 JP Modern - a universal platform to create resources of any content from the design studio Joomlaplates. The template is made in the form of three support columns with correct display on the mobile device. In the integrated template following extensions: MooSlider, MooMenu and Moo Slimbox, which provide excellent functionality. JP Modern has a high speed of loading pages and has a flexible modular design.